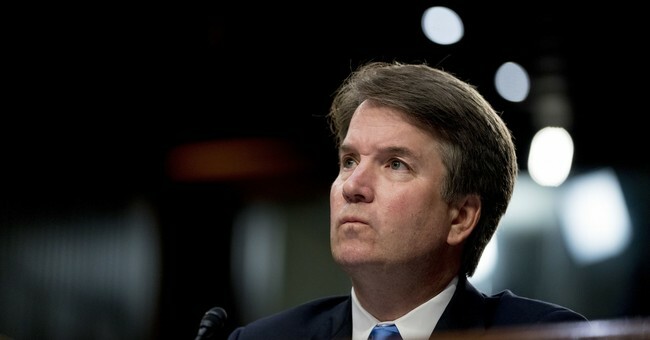 When he was about to win confirmation, Senate Democrats produced an accusation from his high school years more than three decades old. Partisans and like-minded journalists automatically believed the accuser, a California professor, even though she could not corroborate her story. But really, it's journalists who, in their zeal to prove Kavanaugh is too partisan and unable to control himself, came across as too partisan and unable to control themselves. Consider the Oct. 1 New York Times story about a 1985 barroom brawl at which then Yale undergraduate Kavanaugh "was accused of throwing ice on another patron." The story fit the media narrative of a frat boy who couldn't hold his liquor, so of course the Times ran it. One of the two writers who shared the story's byline is Emily Bazelon, a Yale professor who this summer tweeted that she opposed Kavanaugh because "he's a 5th vote for a hard-right turn on voting rights and so much more." That doesn't make her reporting erroneous, but it confirms that Kavanaugh's high school and college years are considered fair game because he is conservative. "They don't talk about his last 35 years," President Donald Trump complained at a recent campaign rally -- hitting a media soft spot. Too often the press pack concentrates on chew toys while ignoring the meat. Also on Monday, CNN ran breathless live coverage of a former classmate who said that, contrary to Kavanauagh's testimony, he believes Kavanaugh had drunk so much that he passed out -- even though he admitted he never saw him passed out. The Times interviewed dozens of people, none of whom corroborated the story, and learned that Ramirez told former classmates she could not be sure Kavanaugh was the student who exposed himself -- and still ran the story. Tuesday, NBC News aired an exclusive interview with a third accuser, Julie Swetnick. Network reporter Kate Snow warned viewers, "NBC News for the record has not been able to independently verify her claims. There are things that she told us on camera that differ from her written statement last week." In a media feeding frenzy, a source does not have to be credible to rate a story in the nation's reputed paper of record or a one-on-one on network news. Journalists cover their backsides by reporting that they have no corroboration to support -- and that's supposed to make it OK. The last time Gallup polled on American trust of the media, in September 2016, only 34 percent of Americans said they had a great or fair amount of trust in newspapers, TV and radio. It's the lack of self-knowledge among journalists as to how bad they look when they toss aside their own standards that makes it so easy for Americans to hate us.